"Uncle 'Bill" peacefully passed away, 27 March 2017, in Honolulu at the age of 90. He was a pilot for over 40 years flying throughout the Pacific and Asia with the USAF and the FAA. 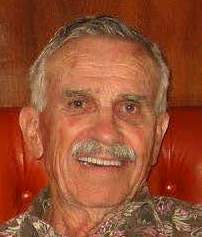 His wife Rose Keolaokalani Springer of Kailua-Kona preceded him in his death. He is survived by son, Ralph JWK Hiatt, grandson Giorgio WK Hiatt and 2 great grand- children. Internment will occur Friday in Kailua-Kona at St Michael Archangel cemetery at 2:00.